If you are starting college in the next few weeks it is a new chapter in your life, it is a scary move especially if you have never before experienced adult education. It is not like going to school where the teachers hold your hand and direct you completely in every aspect of your course. It is important that you are aware of different requirements that you need to fulfil allowing you to successfully understand and hopefully pass your course. Using a calendar or diary to record important dates that you need to remember is essential. It can remind you of dates for assignments that need completing or appointments with tutors. It is an essential item for any college student. Organizing your paperwork will allow you to focus on your work, there is nothing worse than losing a hand out, it can have essential information that you might need. One way to organize paperwork is by using a filing cabinet and organizing by topic and subject to break it down into manageable chunks. Making sure you have enough money each week to spend and to purchase any necessary items for your course is difficult. Managing your money and keeping control of how much you spend is important. It can give you the power to manage your money; you might even be able to avoid costly student loans by using correct money management techniques. Work out how much money you have each week and the essential items you must buy, don’t forget to budget for the odd night out. Any money that you have left over, save, it is better to have a small emergency fund when you have a tight week or an unexpected bill. Once you have mastered the budgeting skill in college it will set you for life, you will be able to manage all your basic financial situations, hopefully with more money than what you have when in college. A great organizing tip is keeping everything up to date. This is just more than completing work on time but everything else too. You will have other tasks to do; it could be completing a project or just keeping your room tidy. 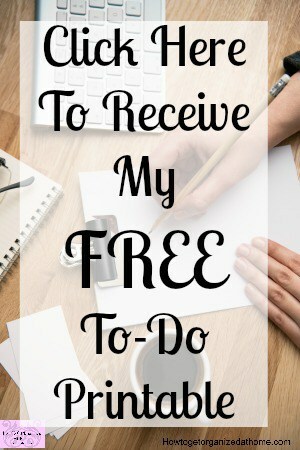 Creating a to-do list that is practical and do able makes sure that many tasks get completed. A to-do list that you create the day before or first thing in the morning is great at focusing your mind for the day. Include on your list jobs that you want to form as daily habits; the jobs that you need to complete daily including these on your list will make sure that you are not trying to do the impossible and you have given yourself adequate time to complete all tasks. Establishing the routines can help make any day flow better, it can make sure that you complete the tasks that you need to do and if you do them every day you will quickly find they can become habit and you don’t even notice completing them. If you struggle to find pieces of paper or finding clean clothes to wear then picking up after yourself is the only way you are going to manage college life. You need to keep on top of the jobs that need completing but you also need to learn to put things in their home when you have finished with them, this will make sure that when you look for an item you have a slight chance in finding it. 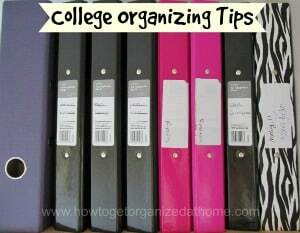 Therefore, if you are looking for organizing tips for college then you need to have a routine that will allow you to be organized in all aspects of college and not just about remembering turning up for your classes but living too.